Lin Ruiqi was born in 1972 and joined Huawei in 1997. She has held many senior positions at the company over the past two decades, including head of the Moscow Office, key account department director, director for market expansion in the CIS and Central and Eastern Europe regions, vice president of the CIS Region, vice president of the China Region, and vice president of the Public Affairs and Communications Dept. She is now senior vice president of Huawei. 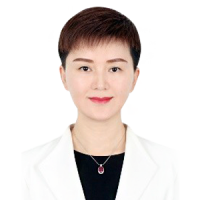 Ms. Lin has a bachelor's degree from the Harbin Institute of Technology, an EMBA from the Cheung Kong Graduate School of Business, and a doctor's degree from Beijing Normal University.